Your guardian angel watches over you throughout the course of your life. These sterling silver angel wings represent your invisible companion and serve as a reminder that you are never alone. 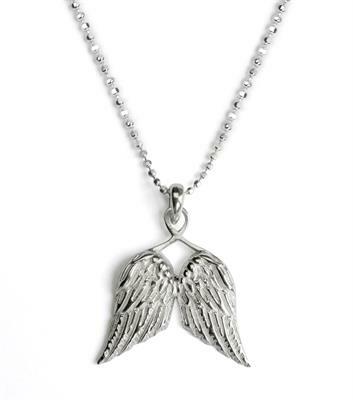 This beautiful Sterling Silver Guardian Angel necklace by Tales from the Earth represents the angel watching over you. This unique necklace is a lovely sentimental piece, and the ideal gift for a christening. This necklace comes with a story card and unique packaging. Size: 45cm chain, 3 x 2.8cm pendant.